When preparing to write this article, an old joke came to mind that goes something like this: Question: Why did God make teenagers? Answer: So you don’t miss them when they go to college. Ten years ago, when both of my kids were small, I found that joke amusing. Now, as my daughter comes home for spring break from her first year at Virginia Tech, I find that joke sadly true. Don’t get me wrong. My daughter is a wonderful kid. Great grades. Great attitude. Great everything – except for her bedroom. It’s just living with a teenager is not easy, and all of us (her included) were ready for her to begin the next phase of her life. As such, I prepared for the associated costs of having a full-time college student: tuition, books, fees, room and board, and basic living expenses. Projections are up around $15,000 per year. As a practicing CPA, I always encounter the question from new parents regarding the best way to save for their child’s college education. Although I am not a certified financial planner, I am able to answer this basic question based on my real life experience as a father and someone who has prepared many individual tax returns and seen the problems that can occur with having chosen the wrong education savings vehicle. There are essentially four savings vehicles available for college savings: Coverdell Education Savings Accounts, minor accounts, Virginia 529, and Virginia Prepaid Education Plans (VPEP). These accounts can be funded by any party (nana, pap-pap, great aunts and uncles, etc.) but do not provide a tax deduction for the donor. Annual contributions are limited to $2,000 per student And earnings grow tax-free. Coverdell accounts (formerly known as Education IRAs) are particularly great for kids with special needs, as the account may be used until the child reaches the age of 30.Coverdells may be transferred to other family members (under age 30) and are returnable to the contributor (with tax implications). If your child does not have special needs, a Coverdell account is probably not the best choice for you. These accounts, officially referred to as United Gift to Minors Accounts or United Transfer to Minor Accounts are an easy, thus, prevalent choice for college savings.These accounts are legally titled in the minor’s name and social security number and can be invested in practically any manner – equities, bonds, etc. Minor accounts also offer a degree of tax relief as the earnings on the account are not taxable until they exceed $950. I highlight the word taxable in the previous sentence as this subject is one of the pitfalls of minor accounts. If the account is used to buy and sell securities or is invested in a mutual fund that throws Off capital gains, the earnings from the account, even if less than $950, are reported to the IRS and the child will be required to file a tax return even if she doesn’t owe any tax. This simply adds complications to a parent’s already complicated life. More importantly, however, is the spirit of the joke I referred to earlier. Minor accounts are, again, legally titled to the child. Which means, at the age of 18, the funds in the account become the legal property of the child. Ideally, the account will be worth the approximate amount of your expected college costs (in my case, $60,000). Don’t get me wrong, I love my daughter immensely; but, there is no way I would hand her $60,000 and hope that she uses it for her college education. Simply stated, I not only want the money to be used for her college but I want control over the money, too.Unfortunately, minor accounts do not offer this control. These accounts can be established at most financial institutions or brokers and provide a savings vehicle to allow The parents to save for future college costs. The contributors to the account are eligible for a Virginia tax deduction (up to $4,000/year per child) and the account grows tax-free. Once enrolled in college, the account can be used to pay for tuition, supplies, and room and board.If the child doesn’t attend college, the parents can name another family member (sibling, cousin, niece or nephew) or receive a refund – with tax implications.These accounts are flexible, but the investment risk stays with the account holder. That is to say, you hope that the investment return on your annual contributions will cover future college costs. VPEP accounts are state-operated and provide an option of prepaying for college tuition in full or over a pre-chosen period of time and are deductible on your Virginia tax return. Contrary to 529 plans, VPEP accounts are a great hedge against college inflation as the buyer has locked in a fixed tuition price; unfortunately, VPEP funds are generally limited to tuition (read: room and board isn’t covered). This is a significant point, as room and board can amount to roughly half the cost of the college experience. After learning the hard lessons of the tax hassles of maintaining a minor account, we bought a VPEP account supplemented with a 529 account for both of our kids. Given recent returns in the equities market, I’m glad we did; there’s no way that a 529 plan would have outpaced college inflation costs.Your ultimate decision will be based on many factors and there are multiple places to turn for research. 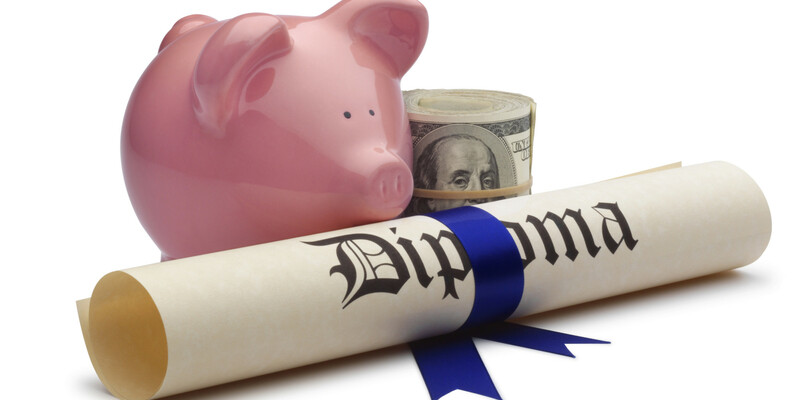 My advice?Avoid minor accounts and strongly consider a VPEP account and/or a 529 plan. Of course, my lawyer, Chuck, tells me you need to do your own investment research and pick the vehicle that’s right for your family. "Real Dad" Steve Walls has been practicing public accounting in the Richmond area for over twenty-five years and is the father of two kids, ages 19 and 12.